"Black History Is A Damn Mystery"
Come on Mad Hatter stop it, please. I was planning on giving you a respite tonight until I saw that damn 12-minute 30-second insulting breakfast foray today about Black History Month. 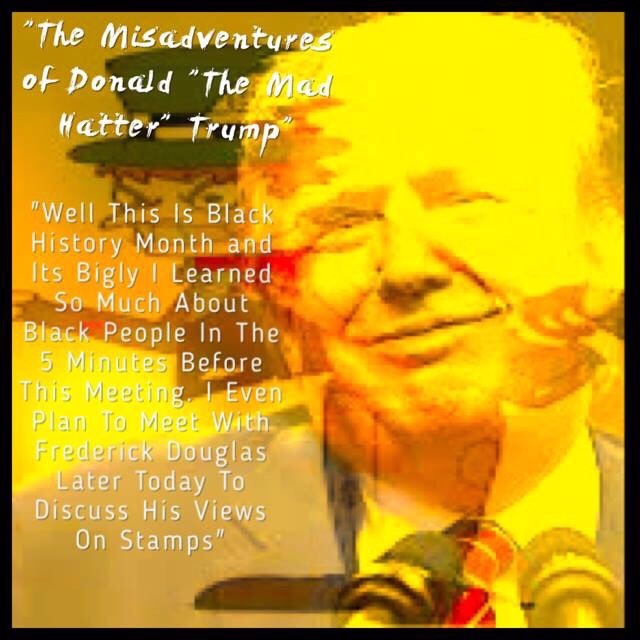 The fact that it was so obvious that the Mad Hatter had absolutely no acceptable knowledge of or any degree of knowledge of Black History was entirely hilarious. What was even more disgraceful was the manner in which the people in the room were interacting with you and you with interacting them. I would certainly question whether any of these people really had any knowledge of the struggle of people of color in this country. You embarrassed the memory of our great ancestor Frederick Douglass by simply mentioning his name. It was almost as if you had a Black History Primer this morning prior to stepping into the room that was quite bigly. You introduced Black History then proceeded to talk about anything other than Black History at the table. 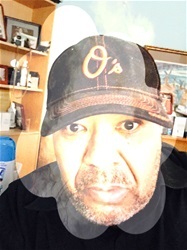 I am sure that the 4 blacks you mentioned from Harriett Tubman, Rosa Parks, Martin Luther King wondered and rolled in their perspective graves just by you mentioning their names Mad Hatter. For you to talk about fake news and discuss the words of a great publisher and newsman in the same sentence was atrocious. Didn't someone tell you that Frederick Douglass was the editor of a newspaper "The North Star" that was accused at a time as a malicious piece of rag that spread "fake news"? It was by all accounts an printed enemy of the segregationists and racists who wanted to continue enslaving black people. Do you really know that the Frederick Douglass home is in Anacostia? You actually could have done this publicity stunt on the grounds of your newly discovered hero. Oh well, Mad Hatter, what are you going to do tomorrow? Just stay away because it seems you are destined for complete madness soon.